Middle School at Wornick is a caring, engaging place to learn and grow. 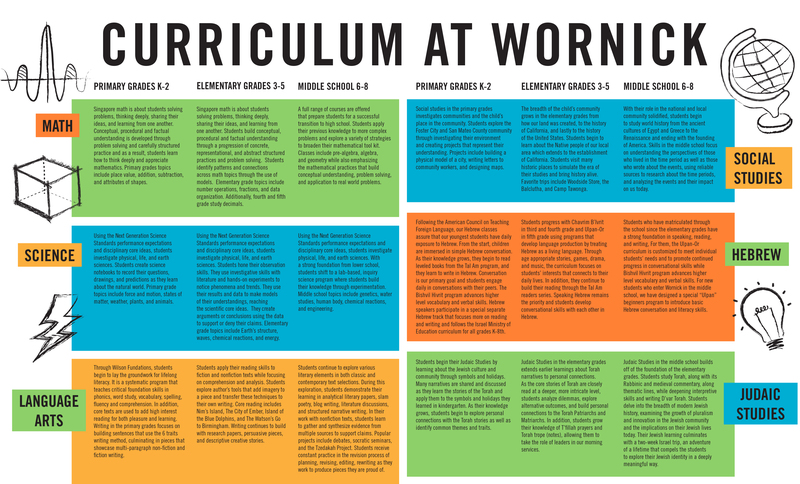 Aligned with the Common Core standards, the challenging Wornick curriculum equips students for success in high school and beyond. 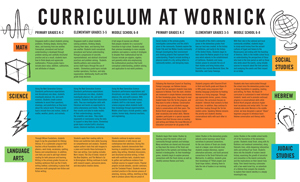 Learning at Wornick is both engaging and meaningful. The central pillar of our program is the development of critical thinking skills in every discipline. Steeped in Jewish values, students at Wornick grow and develop as individuals — supported and informed by a system of ethics that empowers them to become caring adults and effective leaders in their community. Differentiated learning opportunities include the option of taking accelerated math classes including sixth grade pre-algebra, seventh grade algebra and eighth grade geometry. 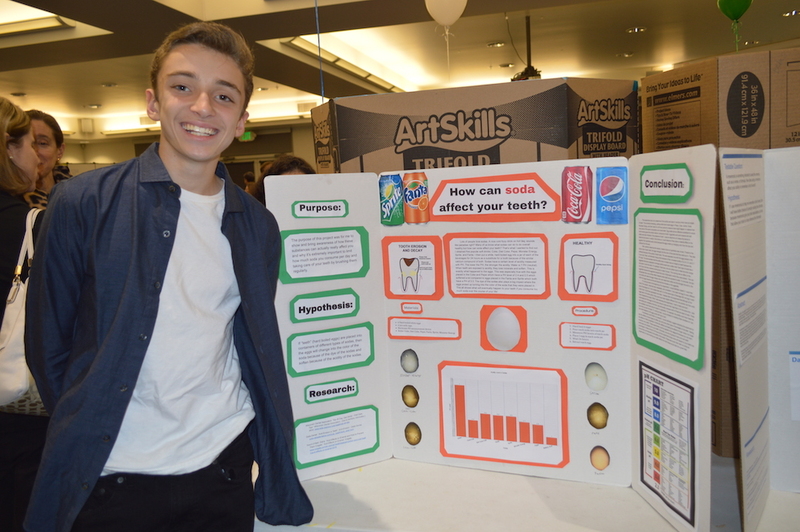 A hallmark of the Wornick Middle School project based learning program is the Seventh Grade Tzedakah Project (Tzedakah means “righteous giving” in Hebrew), where students self select a global cause and design their project with teacher guidance that involves research, interviewing their chosen nonprofit, volunteering, fundraising, critical thinking, presentation, and advocacy skills. Hebrew language is a core part of the curriculum — including beginning classes for students who are new to Wornick. A Spanish language elective is also offered as part of the elective wheel in the sixth grade, and an elective in the seventh and eighth grades. Team sports, overnight study trips, service opportunities, electives and a laptop computer provided to every student contribute to an engaging, robust learning experience. Each morning, an advisory period affords students a safe space to explore their own social and emotional learning, study skills, and problem solving strategies. Electives in music, the arts, technology, drama and engineering nurture students’ creativity and imagination. Overnight study trips take middle school learning beyond the classroom and around the world. 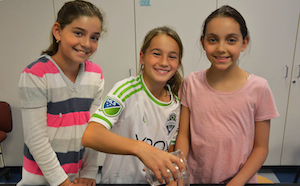 Sixth grade students explore land formations and the water cycle in a place of breathtaking beauty, Olympic National Park in Washington. History, literature and Judaic Studies themes come to life for Wornick seventh graders during a trip through the American South exploring the country’s Civil Rights Movement up close. Eighth graders put their Hebrew skills to work, hosting visiting students from the Reali School in Haifa, Israel and then meeting up with their friends again during their two-week trip to Israel.